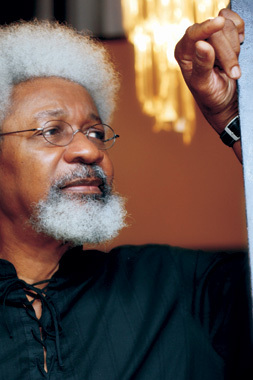 As part of the Nigeria House season Theatre Royal Stratford East in collaboration with New World Nigeria will host an evening with Professor Wole Soyinka, including an interview and Q&A by journalist and BBC radio presenter Dotun Adebayo MBE. This momentous evening will take place on Tuesday 31 July at 6pm and will be followed by a performance of Professor Soyinka’s play, The Lion and the Jewel. One of Africa’s most influential activists and artists of modern time, Professor Soyinka has published over 20 works of drama, novels and poetry. He will be interviewed by acclaimed journalist and BBC radio presenter Dotun Adebayo MBE who says he is ‘honoured to be part of this auspicious occasion and spend an evening with the Professor’. Until Sunday 12 August, Theatre Royal Stratford East hosts New World Nigeria’s hospitality house, Nigeria House. Music, theatre, poetry, fashion exhibitions and films from Nollywood - Nigeria’s dynamic answer to Hollywood – are key aspects of the Nigeria House event. New World Nigeria’s programme is powered by Nigeria’s Bank of Industry (BOI) and the Nigerian Olympic Committee (NOC) and is a drive to promote both cultural industries as well as create new business links internationally..